Sleep soundly at the heart of Augsburg in our hotel. Stay in one of our 31 premium furnished rooms. They obviously come with all of the modern conveniences expected of today. A small but exquisite bathroom. You will not miss a thing, whether you stay with as a guest on a business trip or are travelling privately. 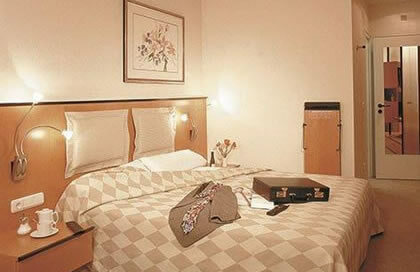 At our very friendly 3 star hotel, we place guest satisfaction as our first priority. Those who stay with us know what hospitality can still mean today. Would you like to have breakfast in your room? We make that possible without any extra charge - we believe that to be part of our service.